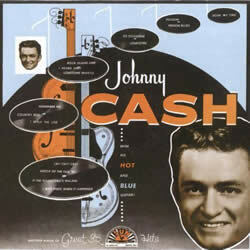 I Walk the Line was written by Johnny Cash. The song was recorded at Sun Studio in Memphis Tennessee on April 2, 1956 and released on May 1, 1956 from the album With His Hot and Blue Guitar. Easier: Start in E Major → A Maj → D Maj → A Maj → E Maj. Use a Capo on the 1st fret if you are playing with the video. Born: J. R. Cash on Feb 26, 1932 in Kingsland, Arkansas, U.S.A.
"I Walk the Line" chords and lyrics are provided for educational purposes and personal use only.